The purpose of this website is to provide access to and information regarding the records held by the Clerk of Court, as well as provide information regarding operations of both the Court and the Clerk’s Office. As the legal custodian of the records, I am pleased to offer this convenience to the public. Your comments and suggestions are appreciated. 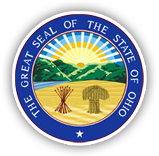 The General Assembly of the State of Ohio created the Lancaster Municipal Court effective in January, 1953, for the territorial jurisdiction of Fairfield County. Effective January, 2000, the State Legislature changed the name of the court to the Fairfield County Municipal Court, to better reflect the citizens served. The Fairfield County Municipal Court has jurisdiction over misdemeanor criminal and traffic matters, as well as certain stages of felony offenses. The level of offenses are defined by statute in Ohio. The court conducts all stages of a misdemeanor criminal or traffic proceeding including jury trial and sentencing if there is a conviction. The Court also conducts preliminary hearings in felony matters. The Clerk’s Office maintains all of the records filed as well as being responsible for the Traffic Violation Bureau. The Court has jurisdiction over civil matters in dispute of $15,000 or less, as well as eviction and landlord-tenant matters. In the Small Claims Division, the monetary jurisdiction is limited to $3,000 or less. No weapons of any kind are to be brought into or near this court. For additional rules of the court and behavior guidelines, click here.